Imran Khan will lay the foundation stone for the corridor on the Pakistani side whereas President Ram Nath Kovind and Punjab Chief Minister Amarinder Singh ill lay the foundation stone of Kartarpur Corridor at Dera Baba Nanak on November 26. Sidhu's visit to Pakistan to attend Imran Khan's swearing-in ceremony as prime minister of Pakistan in August this year had come under fire from the Opposition for his hug to Pakistan army chief Gen Qamar Javed Bajwa. 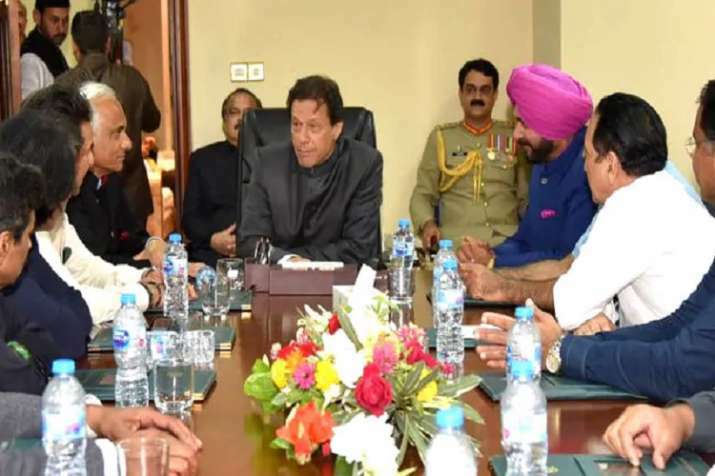 Pakistan Prime Minister Imran Khan has invited Congress leader and Punjab Minister Navjot Singh Sidhu for the ground-breaking ceremony of Kartarpur border corridor with India on November 28. According to IndiaTV sources, the Prime Minister's office has confirmed the invite. Imran Khan will lay the foundation stone for the corridor on the Pakistani side whereas President Ram Nath Kovind and Punjab Chief Minister Amarinder Singh will lay the foundation stone of Kartarpur Corridor at Dera Baba Nanak on November 26. Sidhu, a staunch supporter of the corridor project welcomed the decision and urged the Government of India to dispense their duty by writing to Pakistani government. Earlier in the day, he also wrote to External Affairs Minister Sushma Swaraj and expressed the hope that the opening of the project will write a new chapter of faith and love for the region. Sidhu had claimed that the Pakistan army chief had told him about “making efforts to open the Kartarpur corridor”.